I lived almost my entire life in Seattle and I will tell you that winter is not the cruelest season. Winter can be terrible in most parts of the country but in the Northwest, I never had to worry that my kids would actually freeze if they forgot their coat at school. As long as you had the right gear, you could be outside all season. I was thankful for no biting wind, almost no snow, and none of the electric shock you get in colder climates when you take off your overcoat. (And you don’t really have to wear an overcoat.) Winter was no walk in the park but it was much milder and much better than many other places. Spring is when I would start to go nuts. Because most years, there isn’t really a spring in Seattle. The winter just drags on and on. You will get a week or so of nice weather and everyone and their mother/grandmother/uncle/dog will be outside and everyone will be oh so optimistic that winter is over only to have it return, with a vengeance. Some people say if you are going to live in Seattle, you have to plan to get away in February, but I would change that month to May. February is when you can take refuge in the fact that you aren’t shoveling snow out of your driveway, or wondering if your car is going to start, or hoping your pipes don’t freeze. May is when you can’t quite understand why people are talking about spring and grilling and eating outside. It is also when you might be cursing the fact that it is light until almost 10pm but you can’t enjoy it because it is raining. May is when I would question my choice to live in that city. May is when I would long for spring but never really feel it. To add insult to injury, the spring produce would take forever to come in. Seattle markets, when they are in their prime, are a thing of beauty and glory. Early spring is not that time. Early spring, spring at all really, is meager and frustrating. While seemingly the rest of the country is enjoying all the lovely springy green things, Seattle has just not quite caught up. Because I shop at the farmers markets and because I cook seasonally, I am very in tune to seasonal transitions in produce. At no time are those transitions more remarkable than going from winter to spring. 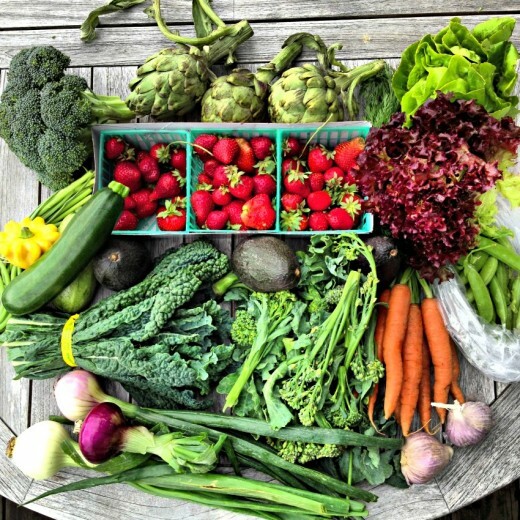 You essentially go from root-type vegetables that need to be roasted or stewed or braised to make them tasty, to gorgeous green things that only need a minute on the grill or in the oven or on the stovetop – or no cooking at all! – to make them tasty. I found this soup on Epicurious when I was searching for a recipe for garlic scape pesto (it was actually in the May 2013 Bon Appétit). 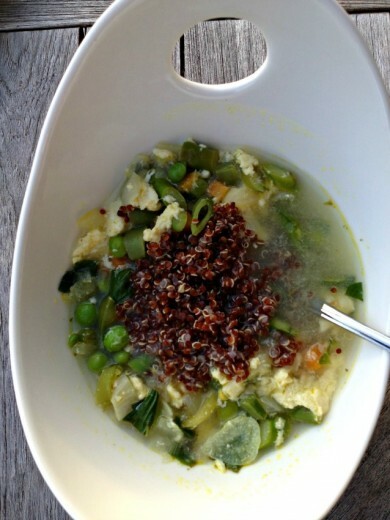 It immediately brought back memories of my childhood because my mom used to make me egg drop soup all the time. The one she made me was very kid friendly, i.e. no vegetables, and I loved it. In this version, the vegetables are definitely the star of the show but the egg saves it from just being, you know, a vegetable soup. I served this as a main course and thought it needed a little something to make it more substantial, so I included a dollop of red quinoa. 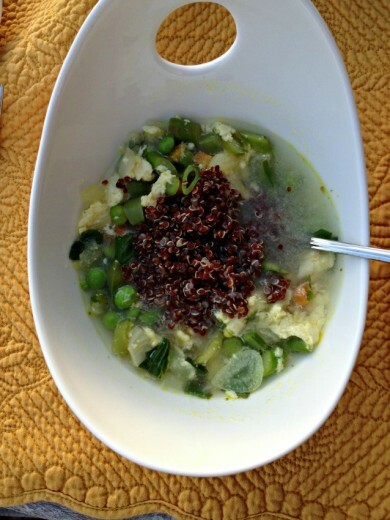 The only changes I made to the recipe below is that I used less olive oil to sauté and served the quinoa on top. I would say it serves 3 as a main course. 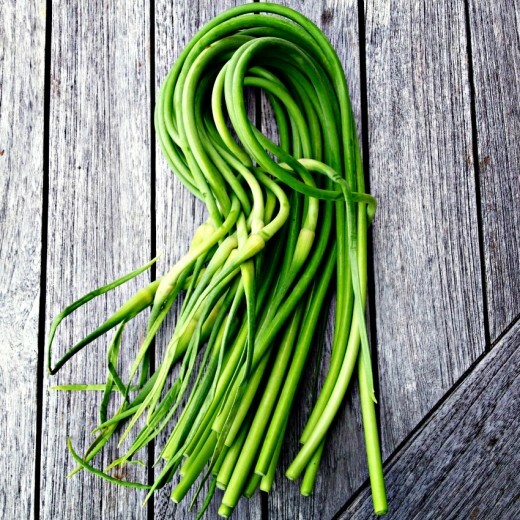 I spring garlic cloves instead of the garlic scapes only because I used all mine in the pesto. Heat oil in a large heavy pot over medium heat. Add carrots, spring onions, and garlic and season with salt. Reduce heat to medium-low, cover, and cook, stirring occasionally, until vegetables are soft, 15-20 minutes. Add broth and bring to a boil. Add asparagus, sugar snap peas, and peas and cook until vegetables are crisp-tender, about 3 minutes. Meanwhile, beat eggs in a small bowl with 1 tablespoon Parmesan, a pinch of salt, and 1 tablespoon water. Reduce heat to low and stir basil and mint into soup. Drizzle in egg mixture in 4 or 5 spots around pot. Let stand for 1 minute so egg can set, then gently stir in 1 ½ teaspoons lemon juice. Season soup with salt and more lemon juice, if desired. 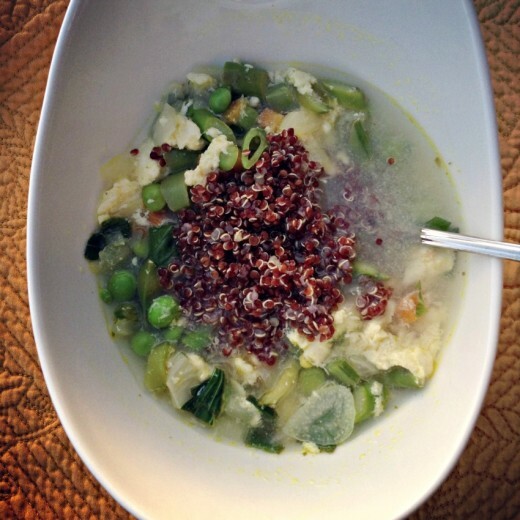 Serve soup topped with more Parmesan and a dollop of quinoa, if desired. If you came into my house right now, you would find homemade cookies in the cookie jar, homemade ice cream in the freezer (and some non-homemade flavors), about ten different kinds of baking chocolate, half of a homemade ginger pound cake, half a homemade chocolate pound cake, and remnants of Easter candy. Some people might wonder how I can live with all of these things surrounding me and not eat them. The reason is because I am a savory person. Not that I don’t like sweet, believe me, the chocolate tempts me sometimes. But it is not all that difficult for me to ignore the fact that I have a mini bakery going on in my house. My problem area is the shelf that houses the chips, pretzels, crackers, and don’t even get me started on popcorn. Something I truly can not stop eating is homemade croutons. Therefore I do not make them all that often and when I do, I double the amount I need so that there will be some left, you know, for the dish they were intended. I have always baked my croutons in the oven. And they have always been great. What is better than great? Awesome? Stupendous? When you cook them in a pan on the stove, croutons become stupendous. 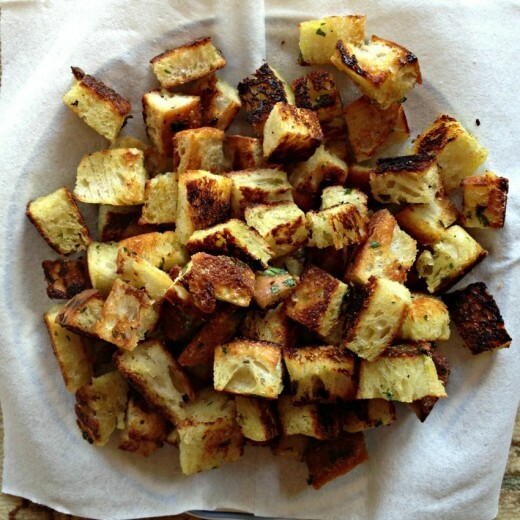 Homemade croutons figure very prominently in Panzanella, the Italian bread salad. It is a very simple dish with few ingredients. It is the epitome of rustic Italian food. Take the very best quality things and put them together in a simple and beautiful way. I’ve made many Panzanella recipes in my cooking life but have either made more complicated versions (see this Heirloom Tomato Salad and Panzanella with Artichokes, Olives, and Manchego) or I have half heartedly thrown halved (pretty flavorless) cherry tomatoes, those mini balls of mozzarella, a few basil leaves, and croutons in a bowl. It sad to me now that I could have been so overambitious or so careless with something that can be so simple to make and so incredibly tasty. 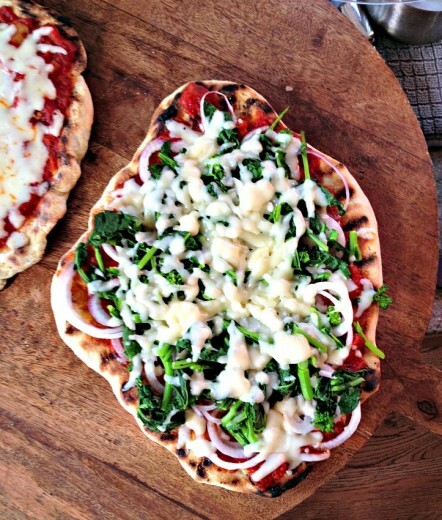 You know what they say about pizza, right? Even when it is bad it is still good. 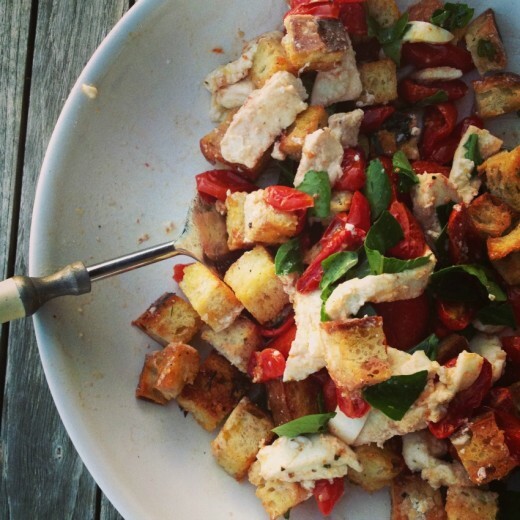 I’ve eaten plenty of Panzanella in addition to the ones I have made and I always like it. A few weeks ago, when I went to a lunch party thrown by Jennie to celebrate her new book, Homemade with Love, I got to taste the Panzanella that helped me see the light. Jennie did all the cooking for the party and I was delighted to see that everything was vegetarian. I took a bit of everything on my plate with an extra healthy helping of her Panzanella. All the food was beautifully presented and incredibly tasty, no small feat when you are cooking out of a hotel room kitchen, but this salad stole the show for me. What had always been really just an excuse for me to eat dressing soaked croutons has become a thing of beauty where each ingredient shines and together there is magic. 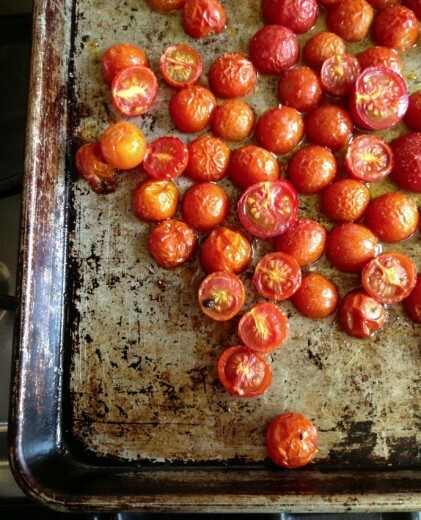 Cherry tomatoes are better than romas but slow-roasted cherry tomatoes are glouriously sweet and jammy. Any crouton is a good crouton, as I think I have made clear, but tossing them with just a bit of Parmesan and parsley and then cooking them in a pan on the stove, gave them charming browned bits and that perfect texture of crunch but with a little squish. (Technical terms.) It became clear that this would become my Panzanella forever more. I have now made this several times and I have just a few tips. I like using a loaf of bread with a dense crumb. Too many air pockets means croutons that are too crispy and potentially burned in spots. I have had luck with Pugliese bread. I cut off each end and then shave a bit of the crustiest parts off. More or less equal sized pieces are my preference and I like them big. As much as I am absolutely smitten with the stovetop method, the second time I made the salad I had a lot going on in the kitchen and didn’t feel like I could successfully manage to keep turning the croutons in the manner they deserved. So I put them in a 375º oven and they were great. Not stupendous, but still great. Because there are so few ingredients here, do use the very best. Be sure to grate your own Parmesan for the croutons and buy a really good fresh mozzarella, preferably an Italian one made with buffalo milk. Please note, this recipe as written serves only 2. Both times I have made it, I have scaled it up by using a the whole pint of cherry tomatoes, more croutons, and about 8 ounces of mozzarella. To make the dressing, whisk the oil, vinegar, honey, salt, and pepper together in a deep bowl. Adjust the seasonings to taste. 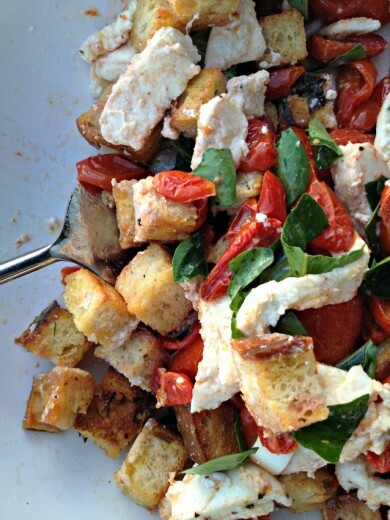 Add the croutons, mozzarella, tomatoes, and basil to the bowl, tossing well to combine. Let the salad sit for at least 5 minutes so the croutons can absorb the flavors, but mo more then 15 minutes or they will get too soggy and lose their crunch. To serve, spoon the salad onto a platter or individual plates. Heat an 8-inch skillet over medium heat. Add the seasoned bread cubes to the pan and cook, turning occasionally, until golden all over, 5 to 7 minutes. Store in an airtight container for up to 3 days. Preheat the oven to 250ºF. 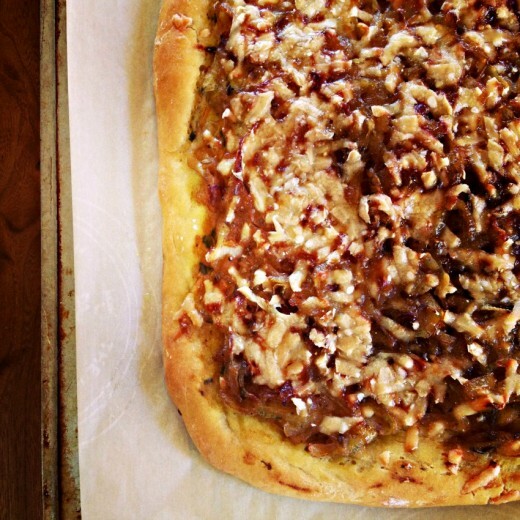 Add all the ingredients to an 8-inch square baking dish and toss well to coat. Adjust seasonings to taste. Bake until the tomatoes are slightly collapsed and tender, about 1 hour. Let cool completely, and store in a tightly covered mason jar or container in the fridge for up to 2 weeks. There are many things that I am but I am not the food blogger who posts holiday recipes in time for holidays. I’m just not usually that organized. I make a Christmas-worthy cake on Christmas, not days ahead so that I can share the recipe. Maybe I share the recipe days after and tell you to make it next year. I realize this is not all that helpful and I’m sorry. I do get contacted by people like the Cream Cheese Commission reminding me that National Cream Cheese Day is coming up and might I want to create a recipe and tell my readers about it! Except I don’t. 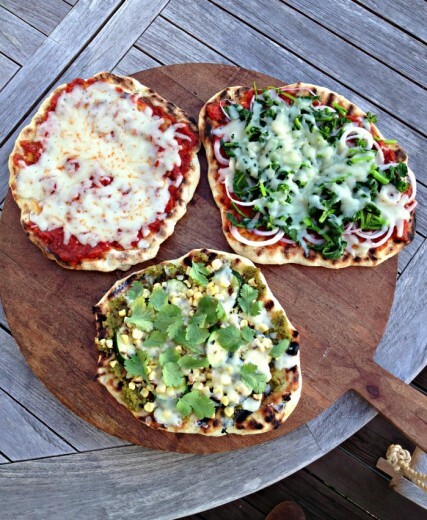 The food I share here is food I cook for myself, my family, or for clients. It is food I make because I want to eat it. And I like it enough to want to share it with you. All this to say that I happened to make a potato salad last night that I really liked and hey! 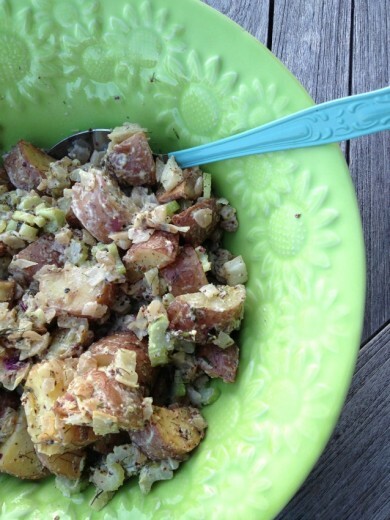 what do you know?, it’s Memorial Day weekend and you might need a good potato salad. Because of my intense love of potatoes, I really like just about any potato salad. I like them with a mayonnaise dressing and also with an olive oil one. I like them with pickles, hard boiled egg, scallions, celery, and without any of those things. I have even been known to eat those gloppy yellowing mayo soaked ones that you find in plastic tubs from a grocery store. This potato salad is nothing like that kind. I created this one as a way to highlight the flavor of the ingredients, not drown them in dressing. And, as usual these days, I was inspired by the produce at the markets. Boiling potatoes, especially lovely pink hued new potatoes from the Berkeley farmers’ market, is a cruel way to treat them. It zaps all their flavor and tends to make them mushy. Mushy potatoes don’t work well in potato salads because when you go mix everything together, they fall apart. Their skins tend to peel off. Much better to roast the potatoes in the oven, with a little olive oil and plenty of salt. Then your prime ingredient tastes good on its own so it can’t help but be delicious in the finished product. I sautéed purple spring onions and fennel with just a bit of parsley and mixed in thinly sliced celery. I think mustard and potatoes are great friends so I made a dressing that is nice and creamy but with a lot of bite from two kinds of mustard and some horseradish. If you hate mayonnaise, and I know there are many of you out there, I imagine you could use all yogurt or sour cream instead. I like my potato salads lightly dressed but this recipes makes plenty of it in case you want to add more or make the salad again. It will keep for a week in the refrigerator and would be a great sandwich spread too. Spring onions look like giant scallions. You will want to use the bulb part only (the part that looks like an onion) and discard the greens. 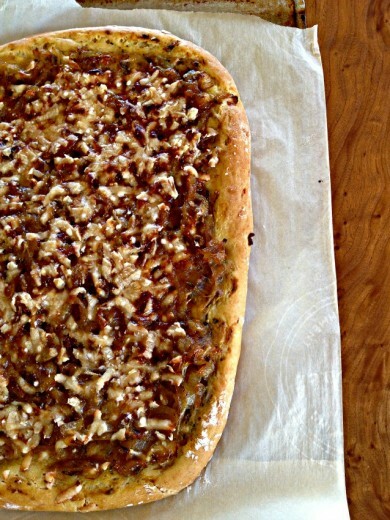 You could substitute a large sweet onion (like Walla Walla or Vidalia) instead. Be sure to buy a fennel that has some of the fronds attached (the green dill like looking top) because you will stir some of the chopped fronds into the finished salad. Make sure to dress the salad when the potatoes are warm. They will absorb the dressing beautifully. Finally, potato salads, like pasta salads, taste best room temperature. You can store the salad for a day or so in the fridge but take it out about an hour before you want to serve it. Mix together the first six ingredients in a bowl. Taste and add salt and pepper to your liking. Preheat the oven to 375ºF. Lay the potato chunks on a large baking sheet and drizzle with 2-3 tablespoons of olive oil. Shower with salt and a few grinds of pepper. (Potatoes need salt!) 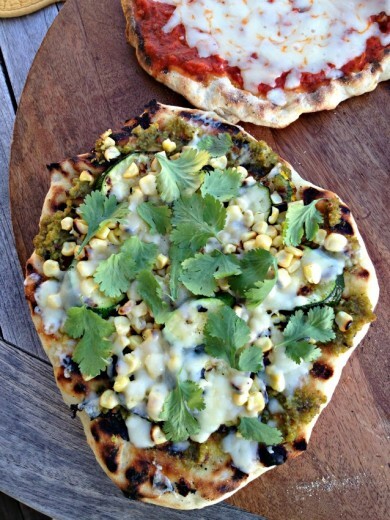 Place in the oven and bake for 20-25 minutes without disturbing them. A paring knife should easily pierce them. Remove from the oven and let cool slightly. Meanwhile, place a large sauté pan over medium heat. Drizzle in just enough olive oil to coat the bottom, then add the onions and fennel and a large pinch of salt. Cook, stirring occasionally, for about 5 minutes, then add the parsley. Continue to cook until the vegetables are very soft and brown in places, about 10 more minutes. Scrape the contents of the pan into a large bowl. Transfer the still quite warm potatoes to the bowl along with the celery. Spoon out about five tablespoons of the dressing into the bowl and, using a spatula, mix together gently. Add the fennel fronds and mix again. Taste for salt and pepper and additional dressing if desired.